CHANDIGARH: The Haryana government today inked an agreement with Indo-UK Healthcare Private Limited to establish medical institutions in the state with proposed investment of Rs 1,000 crore. This project is expected to generate employment for 3,000 persons. A pact to this effect was signed here today by Principal Secretary, Industries and Commerce, Devender Singh, on behalf of the Haryana government, and Managing Director and Group Chief Executive Officer, Indo-UK Healthcare Private Limited, Ajay Gupta. Under this agreement, the Haryana government would facilitate Indo-UK Healthcare Private Limited to obtain necessary permissions, registrations, approvals and clearances for the project from the departments concerned in order to ensure the establishment of the project in a time-bound manner. This would be done as per the existing policies and rules and regulations of the state government. The project is likely to commence in 2017. Speaking on the occasion, Haryana Chief Minister Manohar Lal Khattar said during his tour to the United Kingdom, Prime Minister Narendra Modi and his UK counterpart David Cameron had reached an agreement for expansion of medical services in India with investment of one billion pounds into the Indian healthcare system. This agreement was signed in the same series. 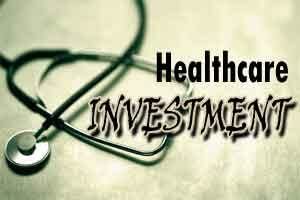 Haryana is one of the six states which have signed MoUs with Indo-UK Healthcare Private Limited, he added. Reiterating the state government’s commitment towards providing better healthcare services, Khattar said presently, there are nine medical colleges in the state. He added that the government aims to open a medical college in each district. Apart from this, the establishment of a branch of the All India Institute of Medical Sciences (AIIMS) in the state is currently under process. While a medical university is presently functioning in the state, another one is being established in Karnal and an Ayurvedic University would soon be opened in Kurukshetra, he added. Recruitment of doctors is being carried out in the state to fill up the requirement for doctors as fixed by the World Health Organisation, Khattar said.